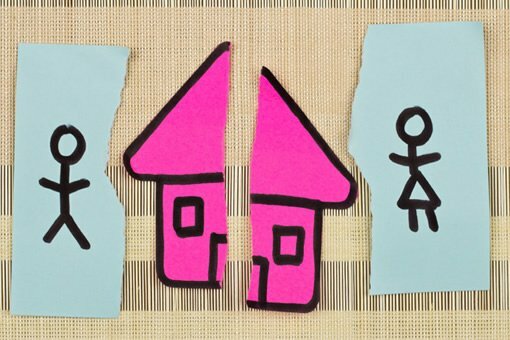 When a couple separate or divorce how is it decided what assets each are entitled to? In dealing with the breakdown of a marriage the courts will look to make what is deemed to be “proper provision” for the parties involved. There overarching aim is fairness and justice. The court will consider a list of criteria and arrive at the asset or financial split based on this criteria. Is it better to agree if possible? The Courts have expressed support for the notion that couples can make agreement between themselves as to how they wish to order their affairs. Any such agreement should be given significant weight should either of the parties later wish to re-visit the matter. This is particularly important if the couple at the time of coming to the agreement had specified that it should be final. The courts then, should only get involved to alter the situation after this, if such an agreement does not “properly provide” for one party or if the circumstances of one or other of those involved have changed dramatically since this was entered into. In a similar vein, the courts have indicated that any windfall or wealth which one party gets after the couple’s relationship has formally ended or, very importantly, assets which were inherited by one party should not automatically be open to a claim by the other unless they were involved directly in obtaining same. Any such assets however, may be considered relevant to the “proper provision” criteria. Does Separation or Divorce Really mean the end?! 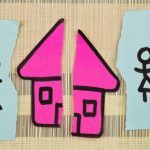 While the formalising of Separation will recognise that a couple are no longer living with one another as husband and wife and a divorce will legally end a marriage there are some limited cases where any division of assets that has taken place in doing so can be re-visited and varied. Maintenance is an example of this. Is Clean Break a reality? 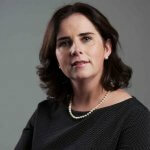 There is no provision for a “clean break” in Irish family law legislation. However, the Courts have accepted that there is a principle of law that supports any effort made by the Courts or parties to arrive at finality or closure, wherever possible. This is particularly true in a breakup where there are ample resources to cater for both parties (and their dependents) needs. What then, if an agreement or court order is made and one or other of the parties finds themselves in a situation where their financial position after the matter has been finalised changes so that the terms entered into now affect them very differently down the road? (for example, if assets divided were to significantly reduce in value or one party was to earn much less etc) This situation came before the High Court on two occasions recently and the courts have taken the view that unless the change that has occurred makes the previous terms impossible to comply with they will be very reluctant to alter what was intended to be the final settlement. No other party who may have an interest in any of the assets involved will be negatively affected if a change to the order is made. Recent cases provide those who have entered into Judicial Separations and Divorces some certainty, in that the terms which result will seem to stand unless there are exceptional circumstances which would make it unjust and unfair for them to remain. If you have reached agreement on separation and later apply for a Divorce can the initial agreement be changed? There are a number of matters decided in this case, the most relevant of which appear to me to be the following. Secondly, “second bite cases” brought because there is an increase in the other spouse’s value are effectively ruled out. A “clean break” between spouses is not a right in Irish law but is a legitimate aspiration. Substantial change (as in illness) needs to exist to justify an application for further provision. If there is no change, there is no new provision. As regards the percentages of division, G. v G will clearly have a sobering effect. In cases post T. v T. , the “yardstick” was followed with variations up or down depending on value and circumstances. Is it possible to protect your assets in a separation or divorce? While an Irish couple is not prevented from signing a pre-nuptial agreement in Ireland, the Irish courts are not obliged to enforce such agreements if the couple’s relationship later breaks down. It is a rather a grey area and it remains to be decided as to what impact these agreements have where the parties separate. While these agreements are not illegal our constitution places great value on the institution of marriage, so some would argue that you cannot enter into an agreement which envisages the break up of the marriage as it is contrary to the whole concept of marriage. Essentially, by drawing up a pre-nuptial agreement a couple is preparing for the future break up before the marriage even begins! My name is Jo and I do have a few questions in relation to divorce. As always with something new, I need legal advise but have no idea about fees n payments. The best way to get a quote on legal fees is to approach the solicitors and give them an indication of the extent of the advice being requested. The quick answer : If there are ample resourses, the marriage is short and the assets were acquired pre-marriage, then the Court would not take the same approach to a long marriage with chilren. I am separated from my husband nearly 5 years now and am planning to divorce him.. I left the home which was in his name only and a couple of years ago he asked me to visit his solicitor and sign some papers as his house had gone into receivership but he needed my signature also as being his wife even though my name was not on the house. I did sign the papers but have just come across them now doing a tidy out (I requested a copy of the papers when I signed) I read through the papers and it looks like the house had been sold to a couple from Australia for €140.00..but my husband then told me that the house was being handed back to the banks and this is why I had to sign.. Do you think I have been fooled? You may have been unwise not to seek legal advice at the time. But you have the papers, so this can be accounted for in your divorce application. In divorce, the Court will look at the current assets and liabilities at the time of the divorce to try to make proper provision for all parties. I have been married for 6 years in the relationship for almost 13 years and we have 3 children. My husband owns our home as he inherited it from his parents. The house has a right of residency order for my husbands 3 sisters for life. Where does that leave myself and the children? Not sure how to answer your question! If you are not a co-owner of the house you do not have an automatic right to reside. However, as it is a family home you have rights under the Family Home Protection Act to be consulted/consent to a sale. The fact that the sisters have a right of residence give them a right to reside in the house. You should ask your husband to transfer the house into joint names to give you security . Hi John, my husband and I are separating after 13 years of marriage, we have 3 children together. Having recently lost his job, and being a number of years older than me, he’s claiming that the the division of our assets would not be 50/50, but done more on a pro-rata basis. both our names are on the title deeds of our home which we are looking to sell. is he correct in saying that the division will look at his potential to earn/borrowing power down the line? He would have initially put more finances towards the cost of our previous home than I did (He had sold a property he owned and put the money against our joint family home). He’s claiming he will only have the cash he receives from the sale of our home to put towards a home for himself, whereas I have the potential to borrow from the bank to supplement my purchasing power of a home. All I want is 50% of the profits to provide for a home for our children. He’s saying he wants the same and is entitled to a home to the same value and provision as I would have. Ideally we would share custody of our children. Is he correct in saying this – or will I receive 50% of the value of the home? Hard one to answer without full details, but I will give it a go. My best answer: it depends on what assets are available to deal with the breakup. If there are not surplus assets over needs , then it would be more usual to have a 50/50 split. If there are surplus assets then factors such as contribution and the means of the parties will be taken into account. There are no hard and fast rules , just guidelines. there are no surplus assets, just the home. Quick answers : Mediate an agreement ; do a separation agreement and if these fail apply for a judicial separation. Hi, a Question on behalf of my brother….he is separating from his wife of 17years and he has 2 children under 12. he built his house on his plot of land and they have agreed to sell. Hoping to get 330k for it but His wife is demanding 35k before the sale of the house then wants a 60/40 split as she will be taking the kids…they are doing mediation soon but would like to know is he legally entitled to a 50/50 split? then he will give her money for kids after sale. Mary, have a look at my previous reply . Its usually 50/50 if there is not enough to go round! Just looking for some general guidance. I am about to separate from my wife of 11 years. We have 2 children 8 and 10. Although I am the lower earner, I have saved direct from my current account into SSIAs in joint names, she would have spent her equivalent earnings on shoes!!! Are my savings, maybe 60k, to be halved with her? Also have an accident settlement from 10+ years ago for 30k in my sole name, does this get halved too. And finally sold a house 2 years ago [that i had owned for 30ish years, in my name only – she never paid any money towards this house, I have the proceeds in a SSIA joint names, wow am I stupid, does this get halved too? Please give me some solace. Ron, the quick answer is that if the resources are not enough to provide adequately for both parties, it is quite likely that everything will get divided equally. However, email me more detailed particulars of both your assets and liabilities and I will try to be more precise. Should have bought a Ferrari. My assets are as above, 60 in ssias from saving, 30 from accident, 200 from house. Hers are I think 100 from savings [assuming it didn’t all go on shoes]. Our current house is joint paid but in her name for tax reasons, value maybe 350 with 150 owing on the mortgage. Hi John, thought I had replied – don’t know where it disappeared to. House is probably worth 400 with 150 remaining on the mortgage. It’s in her name but mortgage is paid jointly. She has maybe 100k, I have 60 plus 30 plus 200 from the house sale. There is not much else in the way of assets or liabilities. Hi John, my husband and I are separating for 3 years so far after 7 years of marriage, we have a 4years old kid together. House title in my name and his name. Jan, there is not fast answer. If you cannot reach agreement by mediation or otherwise, you may have to issue judicial separation proceedings. Dear John, I have recently left the family home after fifteen years of marriage. We bought the house 17 years ago. 13 years remaining on the mortgage. We have three children under 12. I have two questions. 1. Can my wife stop the children from seeing me? Who do I approach if she is refusing to allow me access? 2. Where do I start with assets? The house is in both our names but I have always paid the full amount of the mortgage. I have also paid the majority of household bills/groceries etc. €100k left on the mortgage. She has €28k in savings. I have nothing as I’ve always been the one paying the bills. She is being very difficult and demanding. I continue to pay the full amount of the mortgage and other direct debits/bills as she has refused to. Obviously, I don’t want the kids to suffer. Now I can’t afford to find a place to live myself and have been relying on friends and have even had to sleep in work for short term accommodation. I am at the end of my tether and feeling very low. Any advice would be very much appreciated. Thank you. Pádraig, my first suggestion is that you seek professional help to deal with this stressful situation. On the legal side , if you cannot get agreement you may initially have to take legal action – i.e. instruct a solicitor to issue judicial separation proceedings to deal with the issue of contact and money . Hopefully , you may in time be able to mediate or agree matters amicably through mediation or otherwise. I have purchased a house on my own after being separated from my husband for 7 years. I purchased the house in November 2018. He made no contributions to my house purchase and nor were any monies from our marriage used to pay for the house. We were not legally separate but I am now looking to divorce. He has no assets of his own. How would I fare in court in terms of retaining my house? Quick answer , if there is no financial dependence, your house should not be included. However, the overriding consideration by the Courts is making proper provision for spouses and dependents on the breakdown of a marriage . My husband of 13 years (relationship of 21), recently decided to end things out of nowhere. He has been out of work sick for the last 6 years and is in a legal battle with his employer due to this. The award, if granted, would be quite substantial and I have asked him is this why, as I’m not sure if we split, that myself or the kids would be entitled to anything. Mortgage protection has been paying our mortgage in his name due to him having no income although the house is in both names. He has moved into his family home that we were left when his mother passed away, I’m not concerened about that. But I’m just wondering where I stand with the mortgage protection being covered for myself. I am also paying debts from property tax in relation to the his family home. Will he have to take these over? A few questions there – any monies received during the marriage would usually be considered available to make provision for the family; by mortgage protection I assume is income protection to cover the mortgage – you would need to check the terms of the policy on whether or not any of these payments would be recoverable; on the move to his former family home – this should not affect the mortgage protection ( but again to be sure , you would have to check the policy). If there are debts on property tax , this is something that should be accounted for in the ultimate resolution of the breakup. Myself & my wife are separating after 14 years, we have 2 children 13 & 10. We have a home worth €250,000 and a mortgage outstanding of €165,000. We have other unsecured debts of €20,000 and €2,000 savings. We both pay the mortgage. My wife wants me to leave the house before we get a mediated agreement in place. Will our house have to be sold as I have no money to get another place to live. How do people in similar situations fair out? That is a very difficult one to answer without all the detials. But I will say that usually a Court, in cases where there are sufficient assets, split things 50/50. Your case does not appear to fall into that category. I say this because it appears that if you sell the house and split to proceeds neither party may be able to sort accommodation. I would be inclined to mediate a settlement , rather than leave it in the hands of a judge ! I am about to enter into an overseas marriage in South Africa ( she was a SA citizen but now has Irish citizenship.I own my house which was bought and paid for by myself. I have a teenage child from a previous relationship and want him to inherit when I pass. He resides in the house periodically. I also have a new son of 6 ( whom I also want to inherit) with my new partner and as we will get married I want to ensure my first son is not ousted or put out of any inheritance he might be due should I die or if I got divorced god forbid. How can I protect the asset for the first and second son. Is a prenup the only way? Paul, the quick answer is a pre-nup and a common will after you marry. Is that legal ? Was I entitled to half of that at the time ? Sarah, I am afraid I cannot comment on this . It is a question for your solicitor who handled your divorce. Ciaran, I am not sure of your question – but it may be what entitlement she might have to those assets . The best I can give you , is that a Court will use the assets to make proper provision for the family . This may involve transferring an asset to her or selling one. If both of you are earners , the question of spousal maintenance may not arise. Liz, that a very specific question and the answer will depend on a number of factors – such as: the accommodation needs of both parties , the assets and liabilities of the parties, contributions made. The Court looks to making proper provision for all parties in a fair and just way. If, however , this is an asset that was inherited after the marriage ended and both parties are financially independent , I would be reasonably confident that your mother should keep her home. Hi John thanks for reply. I notice that my full name is on the query can it be removed and substituted with just Paul or PJ .many thanks. Ger, there is a lot in this for a blog response . The quick answer is that if he as access to accommodation then you should be able to make the argument that he has made no contribution. The problem is that a Court will seek to make some provision for him.